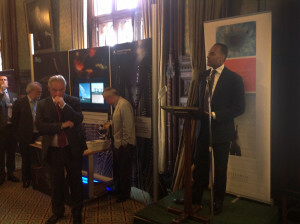 On Tuesday 15 July, as part of the UK Research Council’s work in Big Data, STFC organised a major exhibit in the Members Dining Room at the House of Commons. The event provided a spotlight on the latest developments in UK ‘big data’ research, and in particular, the Hartree Centre work at Daresbury Laboratory in High Performance Computing for scientific research in fields such as engineering and medicine, and assisting companies with research and development of new products. It also featured the Square Kilometre Array (SKA), one of the most complex scientific instruments ever built, with an IT infrastructure designed to handle data rates comparable to the current internet traffic of the Earth. 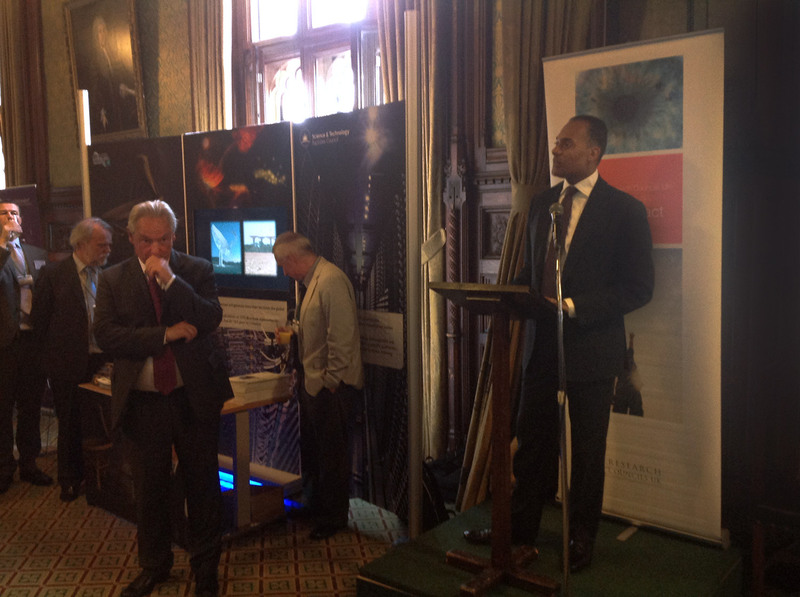 Key speakers included Adam Afriyie MP (Chair of the Parliamentary Office of Science and Technology) and Francis Maude MP (Minister for the Cabinet Office). The event was hosted by the Parliamentary Office for Science and Technology, an organisation that provides the UK government with in-house impartial advice on a range of science and technology policy issues. Visitors were able to chat with Professor John Womersley (STFC CEO), Dr Tim Bestwick (STFC Executive Director, Business and Innovations), David Moss (Hartree Centre), Matthew Johnson (STFC SKA) and Dr Andrew Faulkner (Cambridge University – SKA) about the level of UK university and industrial engagement contributing towards these innovations. 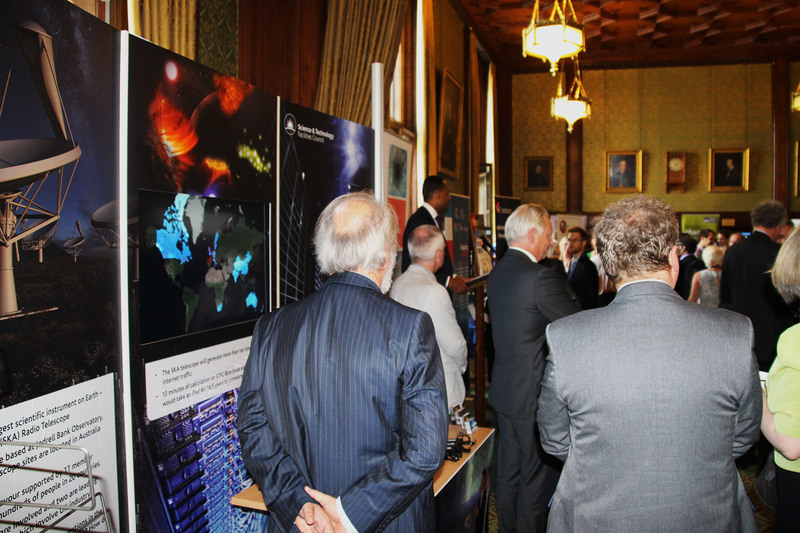 The event, which attracted over 100 MPs, peers and senior decision makers, allowed STFC and SKA to demonstrate how we are enabling UK business to be at the forefront of ‘Big Data’ industries.